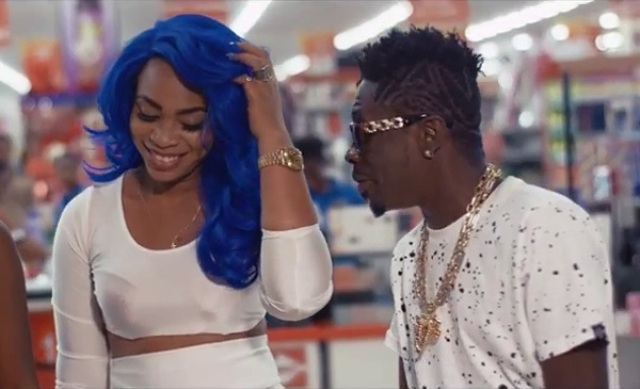 The Baby Mama of Ghanaian dancehall artiste, Shatta Wale, has revealed that she always fight back when Shatta Wale beats her. Speaking in an interview with Graphic Showbiz, Shatta Michy said she fights Shatta Wale boot for boot. “I kind of match up to him, I am a different girl all together, he is a gangster. When we're doing the do, it is intense and when we are fighting too it is intense. I fight him boot for boot,” the Spend The Money singer said. Shatta Wale and Michy went on their separate ways following a misunderstanding that led to a fight. However, Michy believes such incidents are normal. "It is normal, the beating," she said. Shatta Michy, who recently appeared on Nana Ama McBrown’s ‘McBrown Kitchen’ Show on UTV, admitted that they have now settled their differences. “Oh yes, we are back together and stronger than ever," she confirmed. Shatta Michy, real name Michelle Diamond Gbagonah is currently undertaking a new project themed SM Women Empowerment. "The truth is that, from my experience when I was running my pub, I realised a lot of girls had no goals and that also played a role in me taking up the new Michy. Shatta Michy is an entrepreneur, an actress, a philanthropist and a musician.